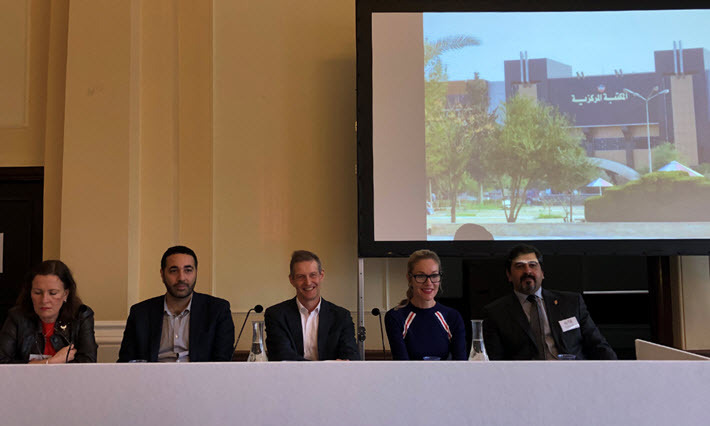 Since the destruction of the University of Mosul’s library, momentum is building for Book Aid International’s efforts to coordinate and enable publishers’ contributions to rebuilding. Most news accounts date the main destruction of the University of Mosul library to 2015, following the start of the Islamic State group’s occupation in June 2014. As Robin Wright wrote in her 2017 article in The New Yorker, the library’s collection had included a ninth-century copy of the Qur’an, as many as 600,000 books in Arabic, and more than a million “books, historic maps, and old manuscripts. As such, the library had been one of the most important in Iraq and the Middle East, a repository of information on the cultures, religions, and ethnicities that make up the region. The destruction of thousands of books, many of them precious, was a tragic addition to the country’s list of tremendous cultural losses in recent years. Hamdon is the founder of the Mosul Book Bridge campaign to rebuild the library. He spoke Tuesday (March 12) in “How Publishers Are Bringing Books Back to Mosul” a discussion that featured Alison Tweed, chief executive of Book Aid International; Dr. Mehiyar Kathem, coordinator for the Nahrein Network at University College London; and Rachel Goode, group communications director with Oxford University Press. The session was moderated by the group development director at Hodder Education, Robert Sulley. 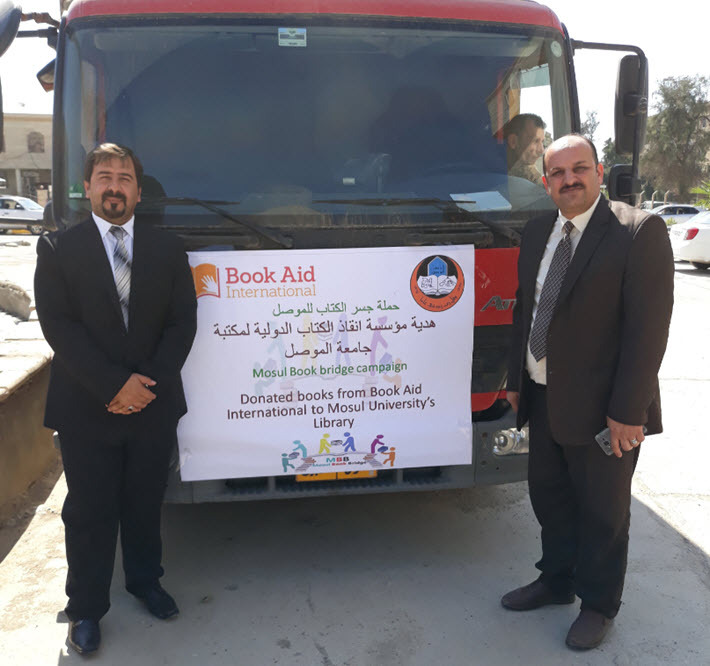 When Mosul was liberated from ISIS in 2017, Dr. Hamdon decided to establish the Mosul Book Bridge effort to rebuild the university’s library, and contacted Book Aid International. The British charity works with more than 100 publishers in the UK and reports sending up to 300,000 books to countries worldwide. Traditionally, Book Aid’s service area has been mostly in Africa. But Tweed said in the discussion that reports of the deliberate cultural and intellectual destruction in Iraq were so moving that she offered to partner with Hamdon’s Mosul Book Bridge campaign. As Publishing Perspectives has reported, Book Aid International has become more involved recently in sending books to transit and refugee camps. They recently sent books to Syria, for example, to support an organization in Idlib. Publishers to which Book Aid appealed for help included Oxford University Press where, Rachel Goode said, “It was a no-brainer to get involved. The Nahrein program offers grants and is partnered with the Mosul Book Bridge. Logistically, the effort has been complicated and costly, Tweed said. Her organization started by sending six pallets of books to Iraq. Their usual shipment to African countries is 20 pallets, which costs them £1,500. The Mosul shipment cost Book Aid twice that amount. A second shipment of 5,000 books for the university library will be departing imminently, Tweed said, and she encouraged the publishing community, especially higher-education presses, to get in touch with Book Aid to assist. 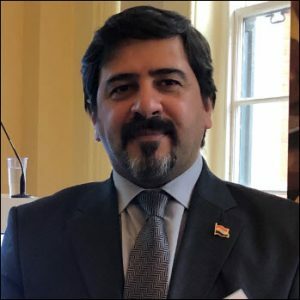 He spoke of moving forward and creating more partnerships with libraries and institutions, and said he’d like to get donations from Arabic-language publishers. The majority of the books in the library are now in English, according to Hamdon. In hopes of donations of Arabic-language books, he said he has contacted organizations in the United Arab Emirates and in Egypt, and has written to Omar Mohammed, the historian who blogged anonymously about the city’s occupation at the Mosul Eye site, starting a campaign for book donations. More from Publishing Perspectives on the work of Book Aid International is here, and more on this week’s London Book Fair is here. 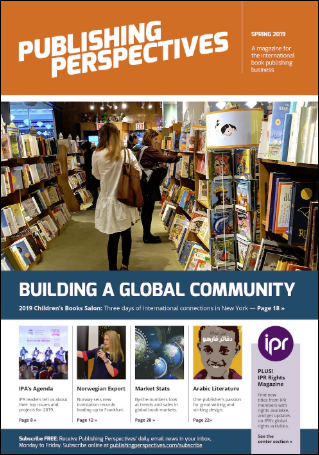 Our Spring Magazine is ready for your free download here at the site, and at the London Book Fair you’ll find the print edition available, also free of charge. Read up on the issues and players important at LBF and other major fairs of the season this year, plus an early look at key points interest about the coming Frankfurter Buchmesse (October 16 to 20). Download the new magazine here.